When war breaks out, Jacob’s world is thrown into chaos. 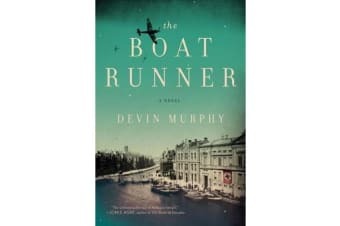 The Boat Runner follows Jacob over the course of four years, through the forests of France, the stormy beaches of England, and deep within the secret missions of the German Navy, where he is confronted with the moral dilemma that will change his life-and his life’s mission-forever. Epic in scope and featuring a thrilling narrative with precise, elegant language, The Boat Runner tells the little-known story of the young Dutch boys who were thrust into the Nazi campaign, as well as the brave boatmen who risked everything to give Jewish refugees safe passage to land abroad.